Art has a transformative nature and it can dramatically alter the energy of a space. For me, a statement painting moves a space from static to dynamic. 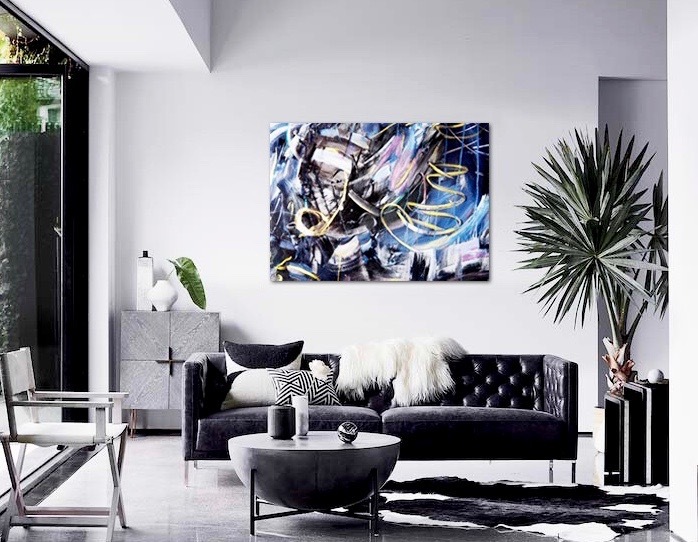 Art - in situ - of utmost importance - to consider where in the room it will live; alone on a clean wall or complementing the style of a piece or arrangement of furniture. Emphasizing how art can transform interiors - it is helpful to visualize how my painting style can enhance a particular design style. Color is a language all to itself.